Residents of a small German town 60 kilometres south of Hamburg are becoming increasingly nervous about two wolf packs in the area. Wolves have been in the area for awhile, but a local farmer that has been filming the wolves said that they are becoming more aggressive. Biologist Thomas Secher, senior scientist at Naturhistorisk Museum said that the situation in Germany could happen in Denmark. A couple out walking their dog in the area was surrounded by a pack of six or seven wolves. They felt so threatened that they yelled for help. The wolves ran off but Thomas Heller, the man who was walking his dog, says he is not going to be taking him outside anytime soon. Johannes said that he is afraid that things could go very bad, very soon. “It’s only a matter of time before the wolves kill their first man,” he said. Their are 80-100 wolves in 6-8 packs in Germany. There are currently no packs in Denmark or documentation of females in the country at this time. 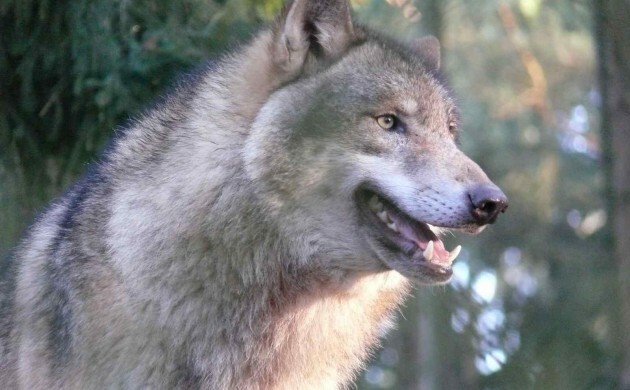 There are currently approximately 19 males wolves in Denmark. while in Denmark is no flocks and no documentation for females. Researchers at the Danish Centre for Environment and Energy at Aarhus University (DCE) said that the risk of wolf attacks on humans is very small. Has the wolf been at your door?